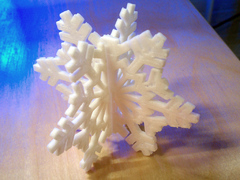 Hailed as a new industrial revolution, 3D printing lets you make objects in your own home. Let's explains how this amazing technology works. Question : What is 3D Printing? 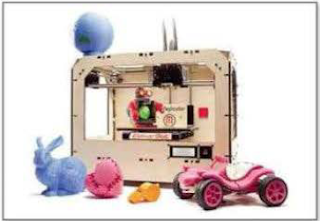 Answer : 3D printing is the process of creating a solid object by 'printing' a digital image from a computer. 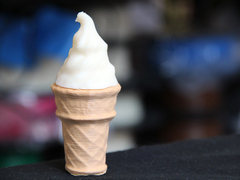 The technology, which has been around since the mid-80s, has been used in industry to turn designs into prototypes and to create identical moulds that can be used to make other items. Because of this, it is also sometimes referred to as rapid prototyping. But companies are now selling print-it-yourself devices you can use in your home. Question : How does it work ? Answer : Instead of ink, printers use materials such as paper, metal and plastic to create a solid object from a digital image that was designed using special software. 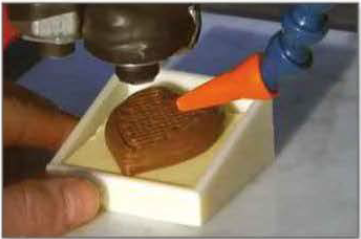 There are two techniques used to print objects. One is to cut thin layers of material into the correct shapes, then put them on top of each other and fuse them together. 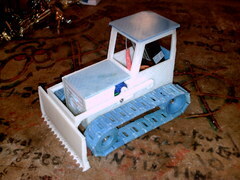 The other method melts the materials to create the layers, and then moulds them into shape. The method used depends on the type of printer, the materials and what’s being made. 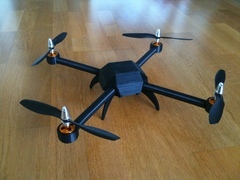 Question : What can you make with 3D Printers? Answer : In theory, any object. Look at the incredible gallery of printed objects at Thingiverse to see the technology's full potential. 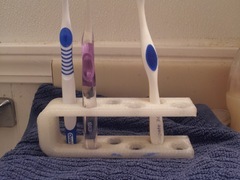 3D printing enthusiasts think this print-it-yourself idea will change public habits to such an extent that, instead of buying replacement items, such as a new bath plug or screw, people will simply print them at home. Bre Pett is, chief executive of MakerBot, which makes the Replicator home printer, told the BBC in January: "We're delivering on that dream of the future where you can have anything you want - you can download it from the internet and just have it manufactured in your house." Pett is even wants MakerBot to build Moon bases. Question : Sorry, did you say moon bases? Answer : Yes. 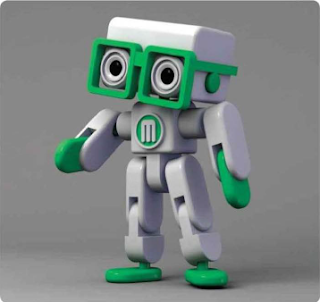 “It’s my goal to put MakerBots on the Moon, building the Moon base for us," Pett is told the BBC. He hopes the cheap cost of reproducing items through 3D printing will persuade NASA it's the ideal way to maintain a lunar headquarters. He's not short of ambition: "I hope that, if an apocalypse happens, people will be ready with MakerBot s, building the things they can't buy in stores. So we’re not just selling a product, we're changing the future." It’s easy to mock this, but many leading business figures think the technology will have as big an impact as the steam engine, the printing press and the transistor. When The Economist puts a subject on the cover, as it did with 3D printing in February 2011, then you know it’s being taken seriously. Question : So you can really make anything? Answer : Yes, including concrete, hearing aids, prosthetic limbs and silicone ears. Technicians have also used it to recreate the skull of a Canadian World War 1 soldier, leading to his identification 94 years after his death. You can even make chocolate bars. 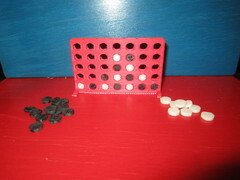 Watch this video to see how: http://www.youtube.com/watch?v=BIFi8but3Vw. But perhaps the most amazing use of 3D printing so far was a Dutch hospital creating the lower half of a human jaw in June 2011. The jaw, made from titanium powder, was transplanted into an 83-year-old patient. Medical professionals are very excited about the benefits of 3D printing because it lets them design parts that fit patients perfectly, reducing the amount of time they spend in surgery, and saving hospitals money. In just a few decades, doctors hope to print human tissue, organs and bones. Breakthroughs are being made all the time. In November 2011, scientists at Washington State University printed bone-like material, while two months earlier, at Germany's Fraunhofer Institute, researchers built artificial blood cells. Question : So can I print my own objects at home? Answer : Yes, once you've bought a home printer. You could try the Replicator, mentioned earlier, which costs $1,749 (about £1,113). 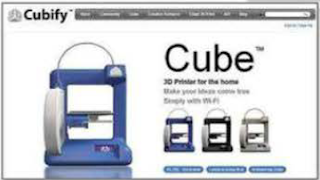 Cheaper, and better looking, is Cubify's Cube (cubify.com/cube), which costs $1,299 (about £828) and can print in 10 colors. So they're still expensive, but prices should fall. After all, laser printers cost £2,000 in 1984. You can now buy one for £50. The best thing about 3D printers is that you can make your own customized designs. Once you've mastered the graphics software that comes with the printers, you can make your own jewellery, smartphone cases, figurines, toys and works of art. 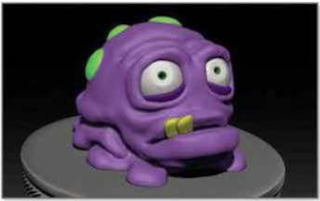 But designing products, even if you don't print them, is half the fun; just look at the purple monster below. Of course, a 3D printer could also be used to make counterfeit items, which is already a concern for prestigious brands. Expect plenty of legal battles over the next few years on 3D printing piracy. These amazing objects have been home-printed by people and posted on Thingiverse, a community where people share their design creations. It shows you what's possible with this incredible technology.